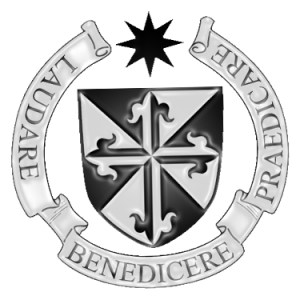 The Marian Foundation of the Order of Preachers. In our formulae of profession, Dominicans unlike other religious communities promise obedience to Mary. We promise in filial devotion to obey Mary, Mother of God, the Protectress and Mother of our Order. In the early days of our Order, Blessed Humbert of the Romans tells us of a vision received by a French Cistercian Monk, who stated he saw the most august Queen of heaven upon her knees with her hands clasped tearfully, begging her Son to have pity on his Mother’s request. The Blessed Mother thanked her Son for choosing her as his mother and queen of heaven, yet her heart was full of pain because countless souls were lost. The Blessed Mother spoke in such words, “after all yours sufferings for them my Son, they do not know you and what was offered for their salvation, namely your precious blood.” She begged of her Divine Son, asking that the gift of redemption should not be lost to them. Our Lord we are told pleaded with his Mother as to what more could he do, he had sent prophets and saints, martyrs, doctors and confessors. “What more Mother am I to do for them?” She wept even more and in tears replied, “my Son it is not for me to teach you who know all things, but I know that you can find some remedy for this terrible tragedy of ignorance.” For three days the Blessed Mother pleaded on her bended knees before her Son, and finally we are told he rose to his feet and said, “I know sweetest Mother, that sinners are being lost for want of preachers, having none to break for them the bread of the holy scriptures or teach the truth, or open the books now sealed to them, I will send new messengers, a new order of preachers to call and lead the people to everlasting joy.” The monk saw the image of St. Dominic and his friars being sent into the world clothed in the black and white habit, white for purity and black symbolising humility, each individually blessed by the Christ and his Mother. The order thus comes from the heart and tears the Virgin Mother, who kneels before her Son pleading for mercy, thus the original title given to our Lady by the first friars was Our Lady of Mercy. The Dominican vocation comes from the heart of Mary, the call we have received to follow Christ Jesus comes from the heart of Mary, the unique call we have originates in the heart of the Mother of Mercy. In 1217 at the early stages of the orders beginning, we see the Order at the service of the Bishop of Toulouse in France. 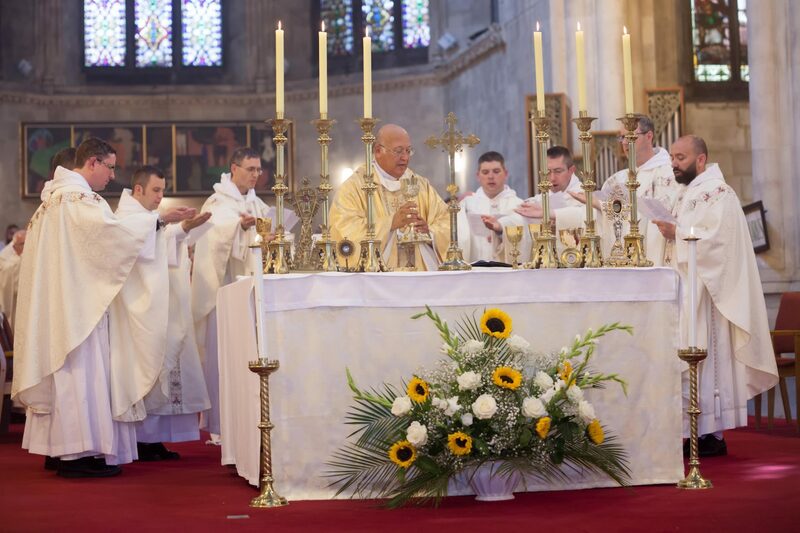 Our Father Dominic chose the feast of the Assumption, the 15th of August as the day to divide his small community; commentators have said that this was chosen by Dominic as the real Pentecost day for the Order. At Pentecost, Mary was gathered with the apostles in the upper room consoling and strengthening them in their fear, thus Mary was present when the Apostles were sent forth to the four corners of the world. 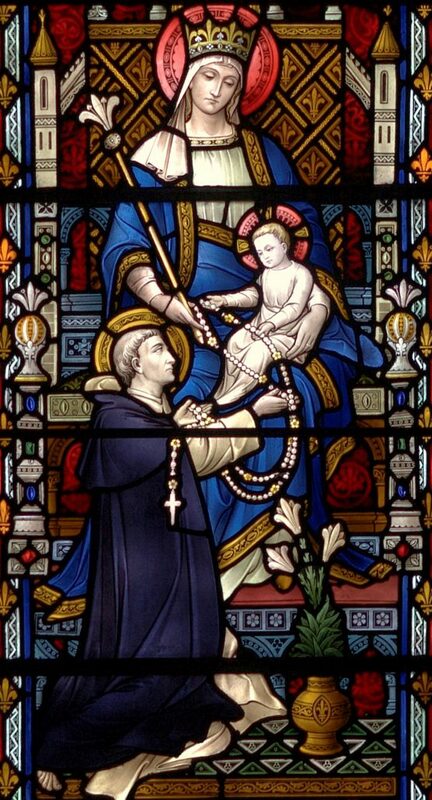 So too with Dominic and his friars, they could not always stay together, they must go forth and preach and so gathering his brothers together in the safe company of Mary on her feast day, St. Dominic sent them forth under the mantle and protection of the Queen of Apostles. She who supported the first apostles would support and protect his sons. We are told he gathered the brethren and announced to them, “hoarded grain goes bad” sending them forth to Spain, Italy and to the University of Paris. The apostolic fire that came from the Mother’s heart now sends them out again in love for mankind. It has always been the prayer of the Virgin which upholds the ministry of the Word, she who conceived in her womb the Word made flesh, prepares the way in each one of us for that same Word. The Dominican must continually turn to Mary when fear of the apostolate frightens us for it is her intercession which matures the fruit of our labour in the hearts of men and women. If the Word is to be born in the hearts of men and women today, the way is prepared by she who first welcomed the Word with her yes. Think too of the prophesy of Simon, a sword will pierce your own soul too, after gathering around her the sons of her son, Mary too must let them go, the heart if it to be shared must be broken. After the great sending out of the first Dominican brethren, the frailty of the first friars emerged. Of the four friars sent to Spain, two returned discouraged by their lack of success, the brethren sent to bologna, were half starved because the local people did not support these strange new friars and the friars considered leaving the order completely, but the Mother was watching over. In 1218 Blessed Jordan of Saxony tells us that Blessed Reginald of Orleans who was a great priest, a scholar and lecturer in canon law at Paris, fell ill and was dying. Reginald was one of St. Dominic’s favourite sons and our father Dominic gave himself over to prolonged prayer, but it seemed useless, Reginald was near death. One night as he lay on his deathbed the Virgin Mother of Mercy appeared to Reginald, she anointed him with healing oil and revealed to him the habit of the Order, asking that the surplice of the canons be replaced by a scapular of Blessed Mary and a symbol of the yoke of Christ. Reginald was healed immediately and with haste informed St. Dominic of the Virgin Mary’s desire to have the habit of the Order changed. The story reminds us of how the friars always turn to their Mother in time of need and how the habit of the order is hers and a reminder down through nearly 800 years of her protection and love. Another vision St. Dominic received was one night after he returned from his vigil in the Priory church, he walked into the friar’s dormitory and saw this beautiful woman passing through the centre of the dormitory sprinkling the beds and sleeping friars with holy water. St. Dominic fell to his knees and asked who she was. She replied, “I am she whom you invoke each night at the Salve Regina, when you sing, turn then most gracious advocate, I prostrate myself before my Son for the preservation of the order.” St. Dominic then turned and saw our Lord seated in majesty with all the orders around him, but not one of his friars, The Lord smiled and said, “I have given your Order to my Mother,” and immediately the Lord turned to the Blessed Virgin who opened her mantle to reveal to Dominic his sons and daughters hidden beneath the folds. Dominicans are Marian, we breathe with a love for Mary, the Mother of Apostles and the Mother of Mercy, we promised obedience to Mary in our vows, for as Blessed Humbert says’ it is by the hands of Mary the we hand over to God the radical ownership of our being and of our possessions. It is by her heart that we consecrate ourselves to divine worship and to the salvation of souls. Fr. John Hyacinth Walsh, O.P. http://dominicans.ie/wp-content/uploads/2016/04/Tallaght-Winodw-Our-lady-2.jpg 1791 966 John Walsh OP http://dominicansinteractive.com/wp-content/uploads/2015/11/Crest-mod-300x300.png John Walsh OP2016-04-18 18:21:442016-04-11 21:06:10The Marian Foundation of the Order of Preachers.